Libya is in the throes of its most major political upheaval in 50 years. As you can see from the bar, revolutionaries now control over 65% of the countries population, compared to less than 25% for the government (some rural areas have yet to be clearly swayed by either). 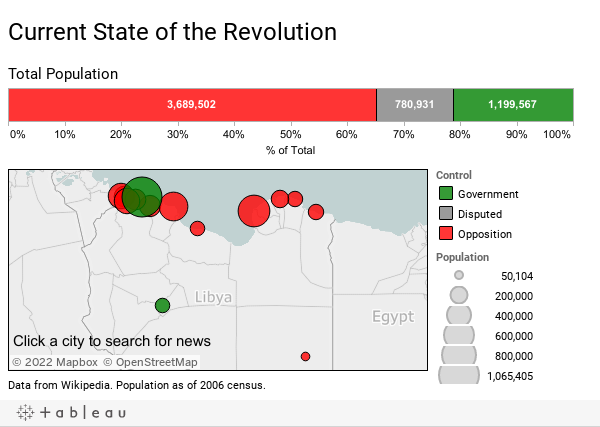 Geographically, the oppositions control is nearly complete, minus loyalist strongholds in Tripoli and mercenary camps in the south. With rebels in control of most of the country, the only question is what will come next?